With International Human Rights Day approaching on December 10, the Bush Institute’s Chris Walsh asked David Kramer to forecast the greatest threats and opportunities for human freedom in 2016. Kramer is a member of the Bush Institute’s Human Freedom Advisory Council and former Assistant Secretary of State for Democracy, Human Rights, and Labor and President of Freedom House. He is now Senior Director for Human Rights and Democracy at the McCain Institute for International Leadership. Looking ahead to 2016, what are the top threats to human freedom around the world? The top threats to human freedom in the world today and into the near future originate from countries with non-democratic systems of government and/or from extremist non-state actors that seek to blunt the advance of democracy. They view the spread of freedom and systems rooted in rule of law as threats to their own power. How a regime treats its own people is often indicative of how it will behave in foreign policy. Russia, China and Iran are corrupt, authoritarian regimes that show no respect for their own people’s human rights. Thus, we should not be surprised when Vladimir Putin violates the sovereignty and territorial integrity of his neighbors, whether Georgia in 2008 or Ukraine in 2014 to the present, while launching the worst crackdown on human rights inside Russia since the break-up of the Soviet Union. Nor should we be shocked by threats from the Iranian regime to destroy the state of Israel or its support for the Assad regime in Syria, given that Iranians are subject to the whims of the mullahs. And under President Xi Jinping, China has increased use of the death penalty and gone after bloggers, lawyers and others amid a deteriorating human rights situation while simultaneously throwing its weight around in the Asia-Pacific region. The inability of democratic states to come together and push back against the authoritarian challenge is a threat, too. We cannot afford to be complacent or disorganized, given nine years of decline in freedom, according to Freedom House’s Freedom in the World 2015 report. “More aggressive tactics by authoritarian regimes and an upsurge in terrorist attacks contributed to a disturbing decline in global freedom,” Freedom House argues. 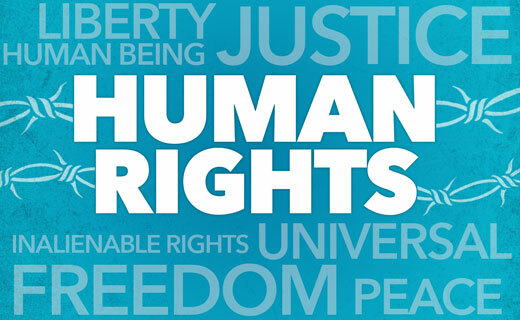 Democracy and human rights activists look to the democratic community of nations to come to their support, politically, financially, and morally. We risk leaving them disillusioned and demoralized, if not abandoned, if we do not actively and creatively back them and their efforts, and we inadvertently embolden the authoritarian regimes by not challenging them. Does the United States have a responsibility to respond to these challenges? If so, how? The United States absolutely has a responsibility not only to respond to these challenges; it must lead that response. For decades, the United States has supported democracy, human rights and rule of law around the world. The United States was founded on the principles of life, liberty and the pursuit of happiness, and Americans believe that all people should enjoy these rights. We do not seek to impose the American model on other countries; each country, if given the opportunity, will develop in its own unique way. But we stand with and support those forces in countries around the globe who seek to build democratic societies that allow people to live in freedom, lead to greater economic success, better protect intellectual property rights, and provide a more stable investment environment. It is in U.S. national interests to advance the cause of democracy, human rights and rule of law around the world. After all, the United States is safer and more prosperous in a more democratic world and should take the lead in advancing this cause. Getting other governments to respect universal values and promote democratic development advances the cause of freedom and also mitigates the challenges we face. Free nations are also more economically successful, stable, reliable partners, and democratic societies are less likely to produce terrorists, proliferate weapons of mass destruction, or engage in aggression and war. This means that the advance of democracy benefits not just the United States, but order and peace around the globe. Democracy advocates and human rights defenders look to the United States for moral, financial, and political leadership and support, making American leadership indispensable. Remaining silent or reducing the profile of these issues abandons people who, in many cases, sacrifice their liberty and lives struggling for a more democratic society. Looking ahead to 2016, what encourages you most when considering human freedom around the world? I’m most encouraged by the unquenchable desire among people around the world to live in freedom. We have seen this in Myanmar and Venezuela, with recent elections there, but also among brave activists in Ukraine, Tunisia, and even in Syria who face great risks to their liberty and their lives. Given the option, most people around the world would choose to live in free societies. According to the most recent World Values Survey, more than 82 percent of respondents believe having a democratic system of government is a good thing. As long as that spirit remains alive, even if under attack, we have reason to be optimistic.